The job outlook for nurses is positive, especially for nurses with a bachelor’s degree in nursing (BSN) or higher. In 2014, nearly 65% of new BSN graduates received job offers at graduation compared to 25% of ADN graduates. Nurses with a BSN degree or higher are valuable to employers for several reasons. 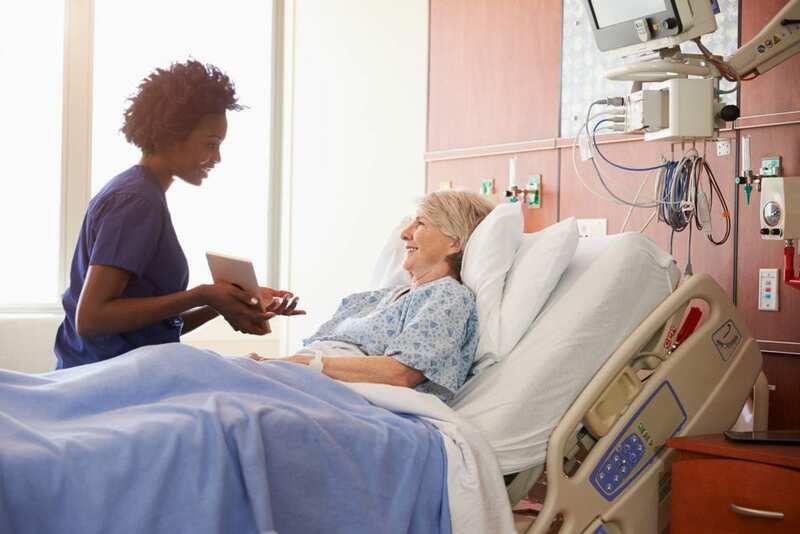 One factor that employers most often consider is the link between higher nursing education and improved patient outcomes as described by an Institute of Medicine (IOM) report. In the report, the IOM made a strong call for 80 percent to nurses to hold a bachelor’s degree or higher by 2020. There has been much concern about new nursing graduates finding employment. 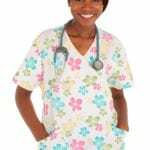 The volume of nurses waiting for a prime position has caused many to question the purported shortage of nurses. While ADN prepared nurses have a decidedly hard time finding jobs in hospitals, graduates of baccalaureate nursing programs are able to secure jobs at a much higher rate. Even working ADN nurses are feeling the pinch, as more employers require them to upgrade their education to a BSN degree or higher. In general, the outcry for higher levels of education will no doubt raise demand for nurses with a BSN degree and also the volume of programs (BSN and RN-BSN) that help nurses meet the new standards and deliver safe patient care. For this reason, many colleges and universities in New Jersey are offering programs for nurses to upgrade their education to a BSN. Included below are a list of New Jersey universities and colleges that have been approved by the Board of Nursing and other accrediting agencies to facilitate the RN-BSN program. Nursing is a commitment to lifelong learning. For numerous reasons, nurses educated at the associate’s degree level should be willing to go back to school in spite of the challenges. While many return to school motivated by employer policies/requirements, the benefits of greater job satisfaction, better positions, higher salaries, and freedom to transition into other areas of practice are some distinct rewards of higher education. The influence of the Institute of Medicine, the American Association of Colleges of Nurses, and similar organizations are difficult to overlook. Therefore, recommendations from these organizations concerning the education of registered nurses working in hospitals and other facilities should not be taken lightly. The IOM’s recommendation, in particular, has sent many working nurses back to school to earn their BSN degree and meet the new standard. If you’re serious about your career in nursing, upgrading your degree should be a priority, especially if you want to maintain your position in a leading hospital. The RN-BSN program offered at many NJ colleges will help you to beat a fast-track to the BSN degree. New Jersey is experiencing a current shortage of registered nurses, like many other states. However, a lack of nurses to fill vacant positions does not mean immediate employment for every nurse. As associate-degree nurses discover, getting jobs in hospitals may be harder than expected. This can easily be accredited to employer expectations. For more than a few reasons, hospital employers prefer BSN graduates, and the trend will increase in the next decade as more employers adopt this hiring practice. As a BSN RN, you will have a decided advantage in the job market. Along with a competitive advantage, BSN RNs also command higher salaries, in some situations. Many will argue that since both BSN and ADN graduates carry the same title – registered nurse – employers do not make a distinction in the salaries offered. Therefore, both graduates earn the same salary at the entry level. However, an RN nurse with some experience in the field, who returns to school to earn a BSN will have an added advantage on a new BSN graduate, and will earn a higher salary as an experienced manager and coordinator of care. Enrolling in an RN-BSN program will improve your leadership abilities and knowledge of technology and the healthcare experience, so much that you could easily transition into a number of interesting and challenging positions within and outside of nursing. Just as nurses are in demand within the clinical setting, there’s a huge demand for their expertise in areas beyond patient care. Numerous nurses in mid-care who are either burnt out of no longer challenged by the routine on the floor are going back to school to earn a BSN and take up non-clinical positions. Some potential lucrative jobs that fall into this category include healthcare recruiting, teaching, insurance sales, pharmaceutical sales, and patient advocacy. Another way to build on your knowledge and experience as a nurse is to move into advanced practice, administration, or informatics. These positions require an MSN or DNP degree, and the BSN paves the way for this level of study. Years on the patient care level and have a debilitating effect. When meeting the physical challenges of nursing is no longer possible, an advanced degree provides another way to impact patient care. It may be that you’re just ready for a new challenge. Whatever your reason, nurses with a graduate degree are in high demand and will open a new world of opportunities within the profession. With salaries of $91,000 annually and above in New Jersey, advanced practice nurses and nurse administrators can make a significant impact on the delivery of care. Put the knowledge you’ve amassed during years of clinical practice to good use by sharing it with nursing students. You may need some graduate study to become a nurse educator, but some colleges are open to BSN nurses educating students in the lower-level courses. There’s a huge demand for nursing faculty, and job opportunities will be very good in the coming years. The RN-to-BSN meets the educational needs of registered nurses with an associate’s degree or diploma or a BSN graduate who wants to earn a BSN. The accelerated program may be completed in 12 months at most colleges. Flexible on-campus or online courses are designed to accommodate nurses with busy schedules. The curriculum will emphasize the development of leadership and critical thinking skills, which as assets to anyone in the profession of nursing. It also sets the foundation for graduate study. Some universities, such as Rutgers, offer RN-BSN students the unique opportunity to earn graduate credits during the program to aid the seamless transition from the BSN to MSN. Individuals seeking entry into an RN-BSN program will need to have an associate degree in nursing, from a regionally accredited program, and a license to practice in New Jersey. An associate’s degree in nursing or a diploma in nursing from an ACEN/NLNAC accredited program. A GPA of 3.0 or higher – since enrollment may be competitive, the GPA requirements may be higher based on the applicant pool. Official transcripts of all college-level courses. Good moral character and physical and mental health. Tuition per semester for a nursing education in New Jersey ranges from $4,900 per semester to $7,650 per semester. The cost reflects tuition only and does not account for the cost of textbooks, fees, supplies, admission costs, and miscellaneous expenses.